Inspired by the traditional Bulgarian traditional custom “Kukeri”, the collection SPECTACLE combines elements of traditional clothing with modern and up-to-date vision. This unusually revolutionary combination of modern and ancient creates the provocative, absolutely avant-garde but at the same time elegant style in the new PROVOCATIVE collection. 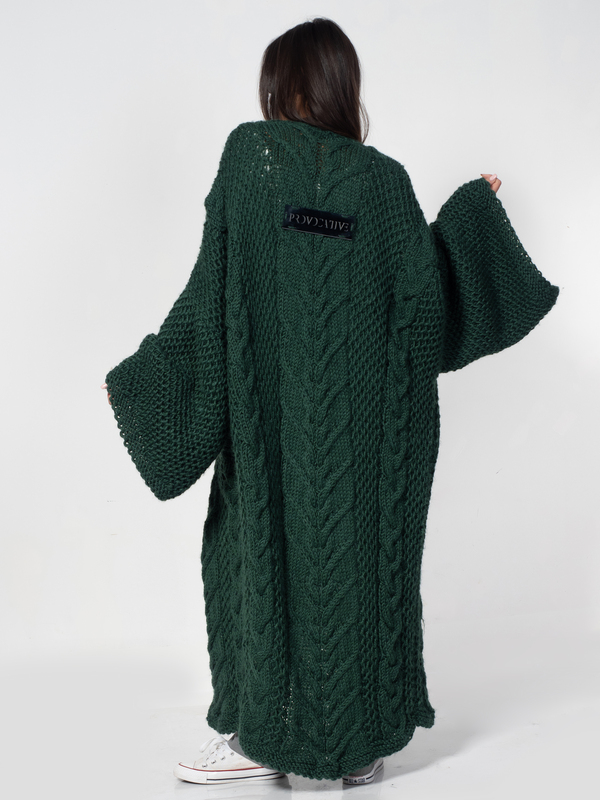 This oversize cardigan is handmade of 100% Bulgarian wool with long wide sleeves creating a feeling of a longer shape. With two pockets to both sides the long cardigan envelops whole body making him feel warm and comfortable.